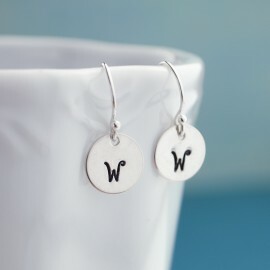 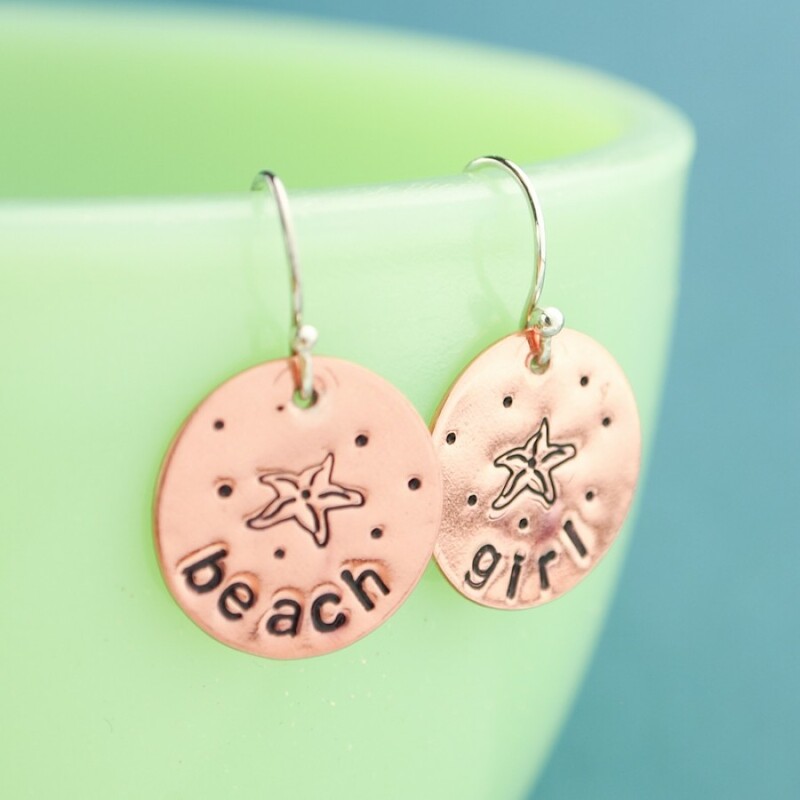 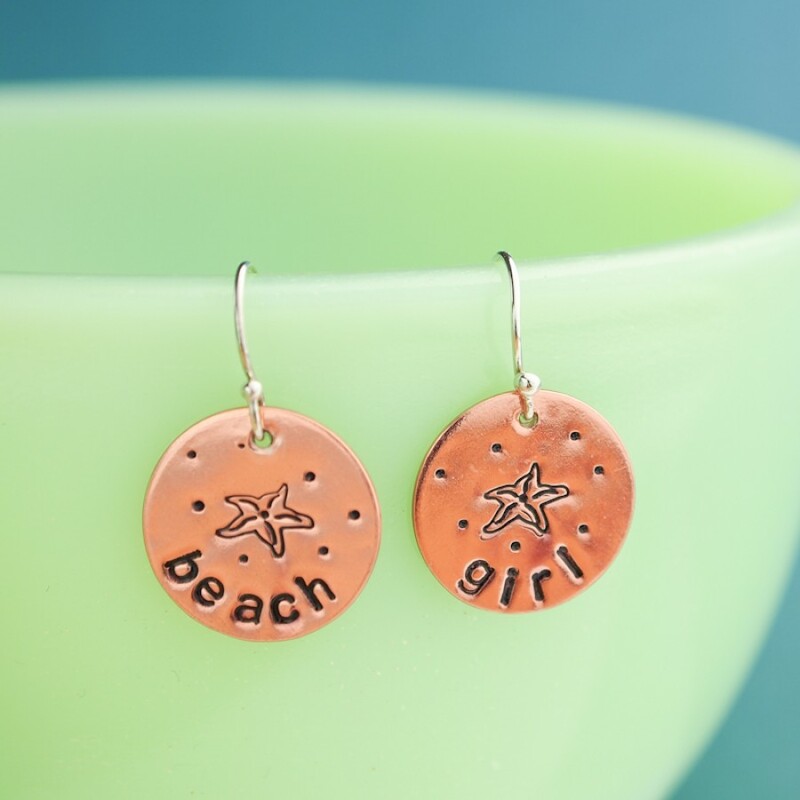 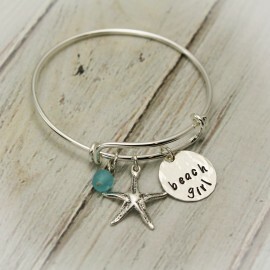 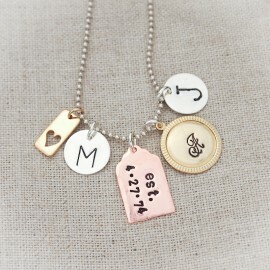 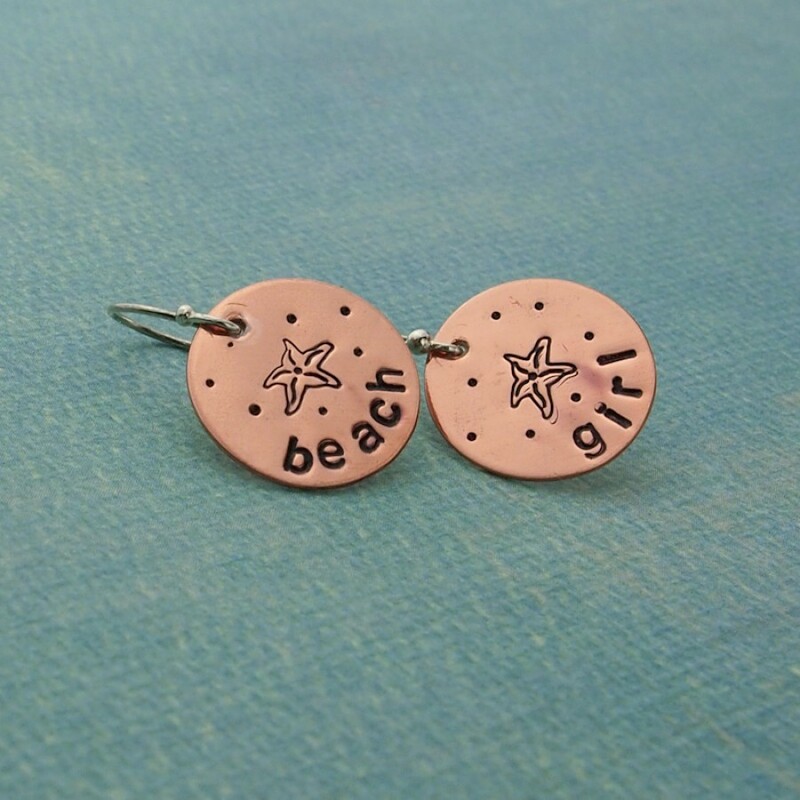 Adorable earrings hand stamped with "beach girl" or words of your choice. 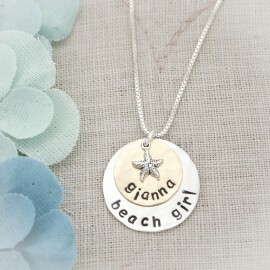 A starfish in sand is stamped over the words. 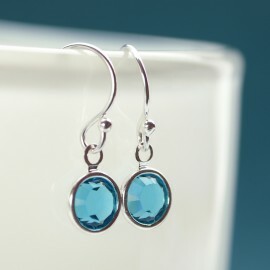 Price begins at 14.95 and varies depending on chosen options.